Originally published 8/14/17. Updated 3/12/19. Low account balances having an effect on your dating life? It’s okay, we’ve all been there. Life is expensive, but dating in Columbus doesn’t have to be. The capital city has an abundance of free/cheap options. So don’t break open that piggy bank just yet. Here are 50 Columbus date ideas that will cost you $20 or less! Desserts at Pistacia Vera range from $1-$6. 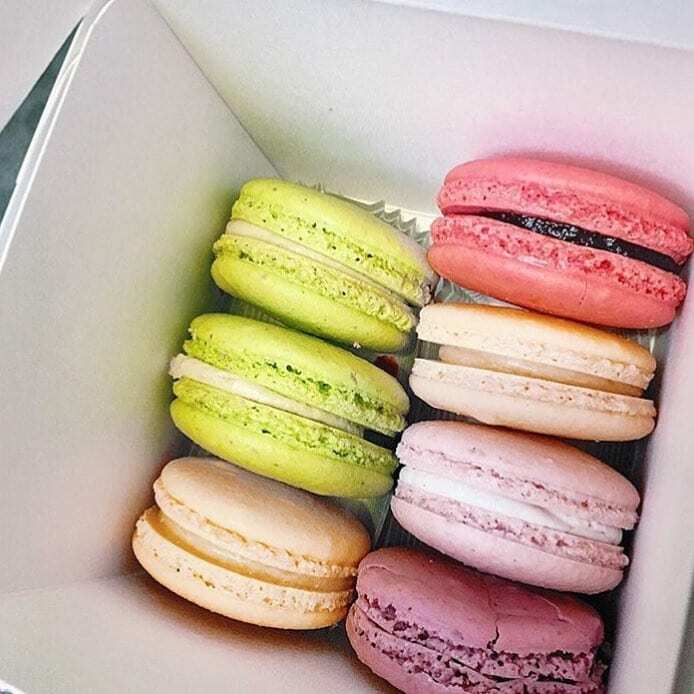 Their macarons are just $1.75 a piece and come in a variety of flavors. If you’re willing to go over budget just a little, you can get a box of 12 for $21! Prices range from $7-$10 for FUSIAN’s delicious sushi rolls. If you want to get fancy and spend all of your $20 at once, you and your date can each get the Surf & Turf roll, which comes with braised steak, crab mix, cucumber, asparagus, wasabi mayo, sweet soy, and sesame chili! Treat your date (and yourself) to happy hour at Woodlands Backyard in Grandview. Monday through Friday, you can get $2 select drafts, $2 well drinks, and $2 domestics. Don’t spend all of your cash on booze though, you can play mini-bowling at Woodlands Backyard for just $4 per game! Breweries like Wolf’s Ridge and Land-Grant offer free public tours on certain days of the week. Learn about how your favorite brews are made, and then order one after the tour. Check out a wine tasting At Whole Foods. Every Friday, Whole Foods hosts ‘$5 after 5’ events. It’s as simple as it sounds. From 5 p.m. to 7 p.m., you can taste five wine samples and five food samples, all for just $5! If you find someone who loves pizza as much as you do, you should hold them close. You should also treat them to some Mikey’s Late Night Slice. Slices are just $4 a piece. If you’re looking to splurge, you could go for the Cheezus Crust, two slices of pizza placed on top of one another like a sandwich, with American cheese melted to the outside. It’s a holy experience. Looking for an all-American night out? Dirty Frank’s is for you. 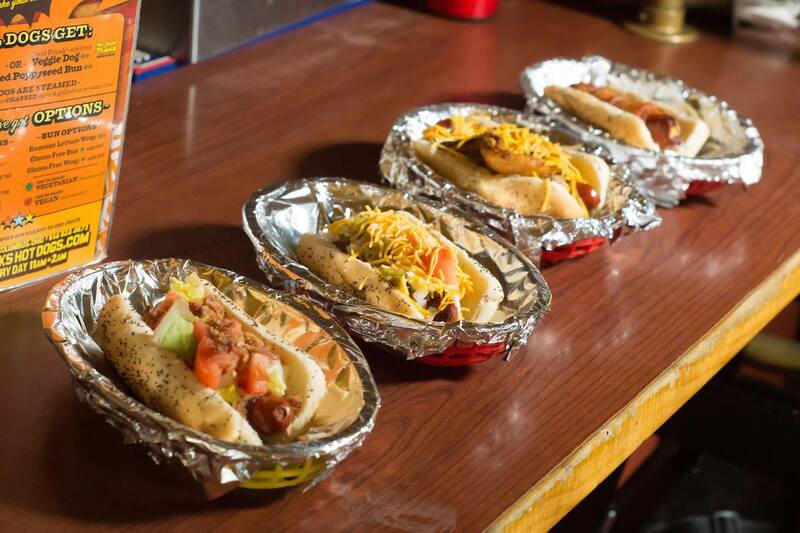 Hot dogs, tater tots, mac & cheese, and soft pretzels are all waiting for you with price tags that will make you swoon. My personal favorite is the Puff the Magic Popper. It only costs $3.75, but it tastes like a million bucks. You can snag some quality coffee drinks from Fox in the Snow for under $5 per person. With that leftover cash, you can snack on a delicious pastry! Honestly, they are the best burgers in the city. 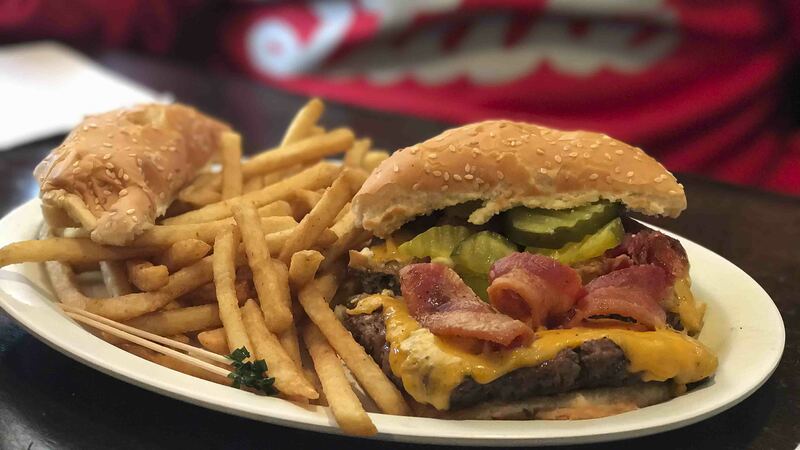 A cheeseburger will cost you just $7.25 and you’ll love every minute of eating it. It doesn’t come with sides, but that’s okay. You can order some fries or onion rings on the side for $2-$3. Don’t worry, there will be enough to share with your date! Did you know that Drexel Theatre in Bexley has a discount day? On Monday, all tickets are only $6 each. You’ll even have enough left over to order some popcorn! Take a stroll through the Book Loft. If you’re into literature, you need to head to The Book Loft in German Village. It’s 32 rooms of books, stacked to the ceiling and in every nook & cranny. It doesn’t cost anything to look around, but we’re sure you could find something dope for less than $20. Pro tip: Don’t separate from your date unless you want to spend 45 minutes trying to find one another! 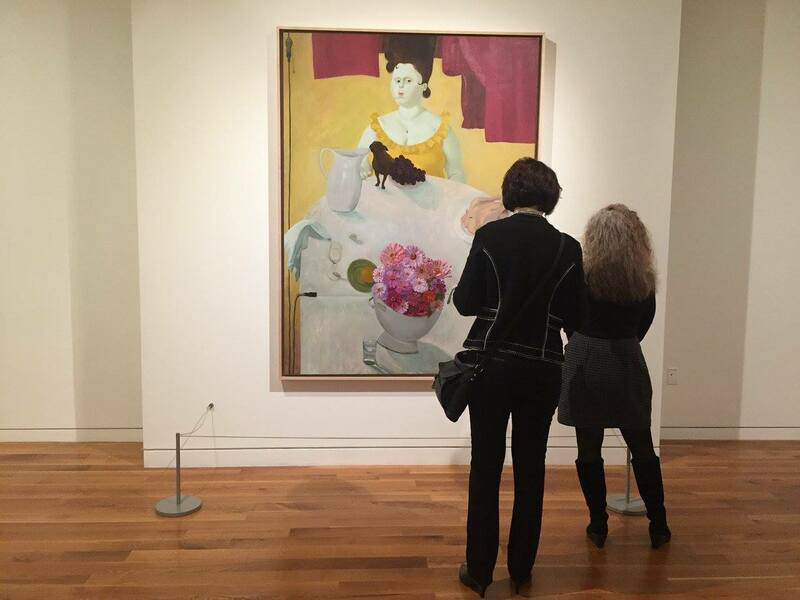 Get artsy on Sundays at the Columbus Museum of Art. Want to really impress your date? Take them to the Columbus Museum of Art. I know what you’re thinking. “How does this lady think I can afford a trip to a fancy museum on a ramen budget?” Don’t worry! CMA is completely free on Sundays. You can enjoy all the art your little heart can take, all while seeming like you’re A+ at adulting. Serenade your date with some dulcet tones at karaoke. Choose any night of the week and there is karaoke happening somewhere in the capital city. Since karaoke doesn’t cost anything, and it typically happens at bars, you can use your whole budget on some liquid courage. If you enjoy watching performances, but not actually performing, skip the karaoke and head down to Front Street. Every Monday the Big Room Bar at CD 102.5 has Open Mic night. It’s a great opportunity to check out some local Columbus talents. Happy Hour on Monday is from 4 p.m. to 8 p.m., offering $3 Ohio craft beer, $2 domestic pints, $3 house wine, and 1/2 off well drinks. Snuggle up at an outdoor movie. 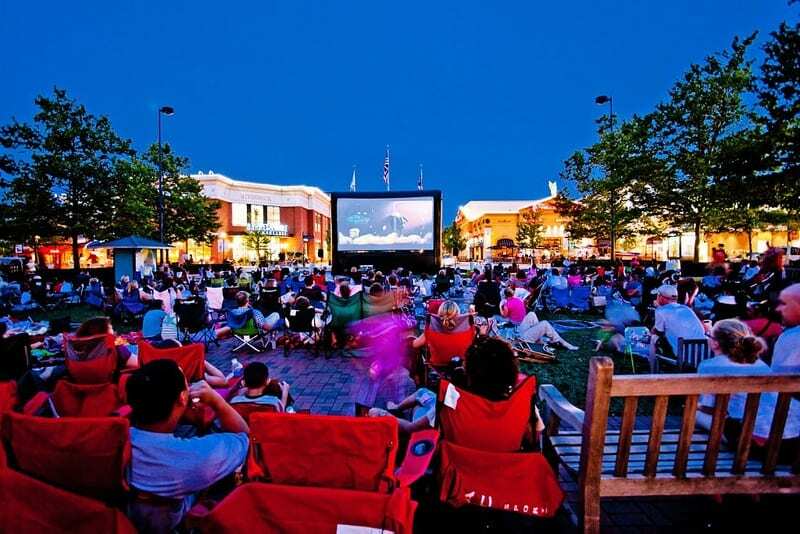 From May through September, there are dozens and dozens of outdoor movies showing all around Columbus. The movies range from animated films to blockbuster hits. You can check back here once the summer movie calendars are announced! Enjoy a classic under the stars at Shakespeare In The Park. If it’s summertime, then you can head to Schiller Park for Shakespeare in the Park. If it’s the offseason, you can catch The Actor’s Theatre at their monthly Shakespeare Underground pop-ups. Love doing the Time Warp? Take your date to see Rocky Horror Picture Show. The first Saturday of every month is a special night at Studio 35. Get dressed up and get ready for some audience participation. Never seen Rocky Horror Picture Show? Here are some tips for RHPS virgins. Channel your inner Danny Zuko and head to the Drive-In Movie Theater. There’s nothing better than hooking a speaker that’s older than you are onto your car window, slipping your arm around your sweetheart, and watching a movie at South Drive-In. Tickets are just $7.50 Sunday through Thursday and $9.50 on Friday and Saturday. Stroll through stunning art galleries and quirky shops at Gallery Hop. The first Saturday of every month makes for a great cheap date. Short North’s Gallery Hop is a great way to spend an evening. Grab a drink and then start strolling. There are shops, bars, restaurants, art galleries and more who all welcome the influx of foot traffic during Gallery Hop. Hunker down for a cult classic. If you haven’t had the opportunity to see “The Room” on the big screen, you should take it. The second Saturday of every month at the Drexel Theatre in Bexley, you can pop in around midnight to experience Tommy Wiseau, bad dialogue, and acting that’s so bad, it’s good. Tickets are just $6.50. Oh hi, Mark! Show off your hipster vibes at Franklinton Fridays. Every second Friday of the month, Franklinton invites you and your date to check out the best art, food, entertainment, and more that their community has to offer. Galleries and other businesses in Franklinton host this art crawl, and it’s free and open to the public. Go for a romantic hike at Scioto Audubon Metro Park. Scioto Audubon Metro Park is one of my favorite parks in the city. There are wooded trails, a gorgeous little boardwalk over some wetlands, and amazing views of the city. Want to bring your pup along? No problem! There is even a great dog park. The best part is it’s all free. If sitting down at the park is more your speed, pack a basket, throw in some pb&j sandwiches, and grab a blanket. Columbus and the surrounding suburbs have beautiful parks. Some, like the Topiary Garden, Schiller Park, Frank Fetch Park, and the Columbus Commons are nestled throughout downtown. Others like Inniswood Metro Garden, Battelle Darby, and Antrim Park are a little bit of a drive. All of them are worth the time and make the perfect setting for a picnic date. Hop on the COTA Bus and head to the Zoo. The Columbus Zoo and Aquarium is great for an all-day date. If you take the COTA bus, not only will you save on gas, you’ll also save on admission. The bus fare is $2 each way and you will receive admission to the Columbus Zoo & Aquarium for just $3. The zoo deal is only available from May-September. Get a CoGo and Bike Through The City. Ready for an urban adventure? Head to your nearest CoGo station, rent two bikes, and hit the pavement. Bike stations are available throughout the city. Day passes are available for $8 per pass. Stay together after the sun goes down while backpacking at Scioto Grove Metro Park. If you and your boo are outdoorsy types, you can take a quick backpacking trip through Scioto Grove Metro Park. One of the newest parks, Scioto Grove offers plenty of backpacking trails. You can even camp overnight! To make a reservation at a backpacking site, please call 614-949-1078. 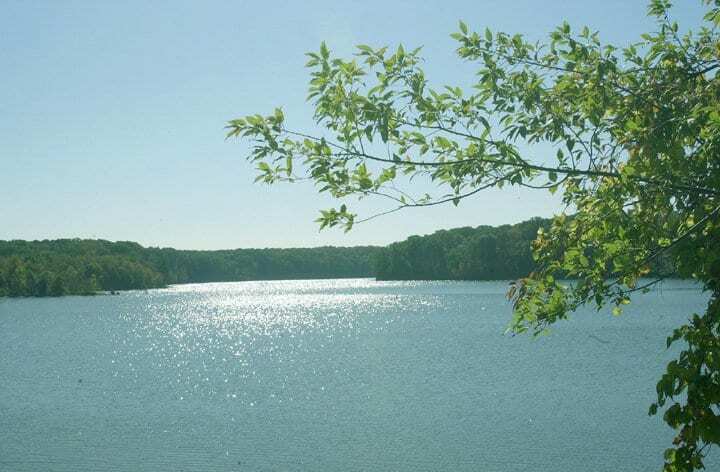 Go for a swim at Alum Creek State Park. Obviously, this only applies in warmer weather, but a dip at Alum Creek State Park could be the perfect date. The beach at the park has volleyball nets, grills, and beach vendors! The beach is open during daylight hours only. Be sure to check water quality alerts before you start splashing. Explore Hayden Falls in Dublin. Nothing quite says “romance” like a roaring waterfall. Which is why you should hike back to Hayden Falls in Dublin for a date that will leave you both feeling lovey-dovey. Want to explore some waterfalls a little further away? Good because Ohio some beautiful ones out there just waiting for you. Spend the day at Olentangy Indian Caverns. This one may be at the top of the $20 budget, but it’s so beautiful. Olentangy Indian Caverns is a completely unique outdoor experience in Columbus. For $9.95 per person, you can spend the day in beautiful underground caves that were formed millions of years ago. If you have a little extra pocket change, consider doing the animal encounter for $3 where you can pet deer, goats, and Zubu cows! Tour some of Columbus’ ancient earthworks. 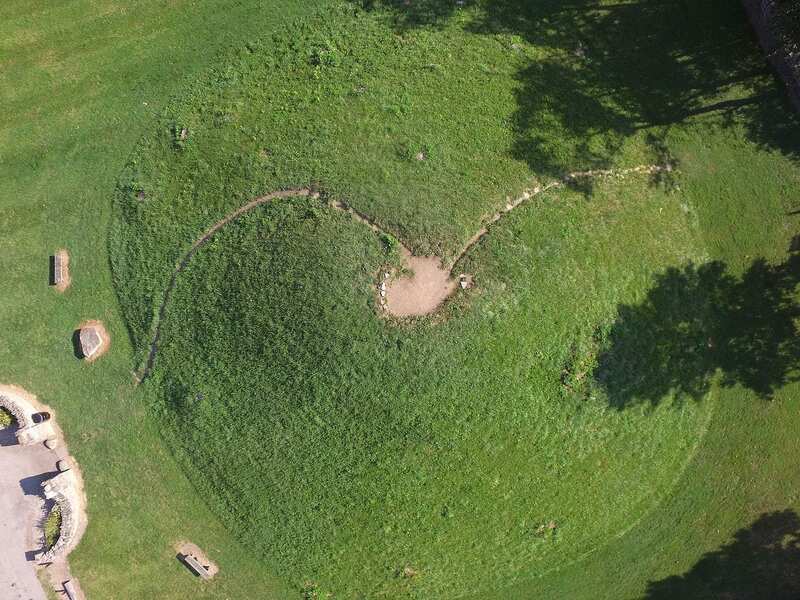 An aerial shot of Shrum Mound, via Wikimedia Commons. Did you know that Ohio was home to several ancient cultures? Right here in Columbus, you can visit Shrum Mound for free. While an ancient burial mound might not scream “perfect date”, it’s a great place to experience the history of Ohio and learn about those who lived here before us. Visit the Bison at Battelle Darby Creek Metro Park. 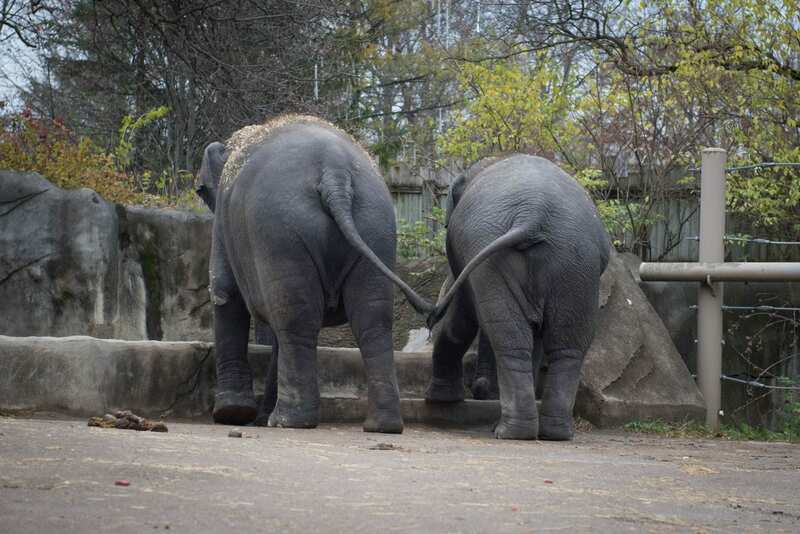 If your date is an animal lover, then this is sure to impress. The herd of Bison that live at Darby Park are stunning. There are also beautiful trails and quiet wooded areas all throughout the park. Pair with a picnic and you’ve got one heck of a free date. Take a mini-road trip to the John Glenn Astronomy Park. Nothing says romance quite like a night gazing up at the stars. There’s literally nowhere better to do that than the John Glenn Astronomy Park. It’s open every day of the year and is free to visit! Pick something sweet together at Lynd Fruit Farm. 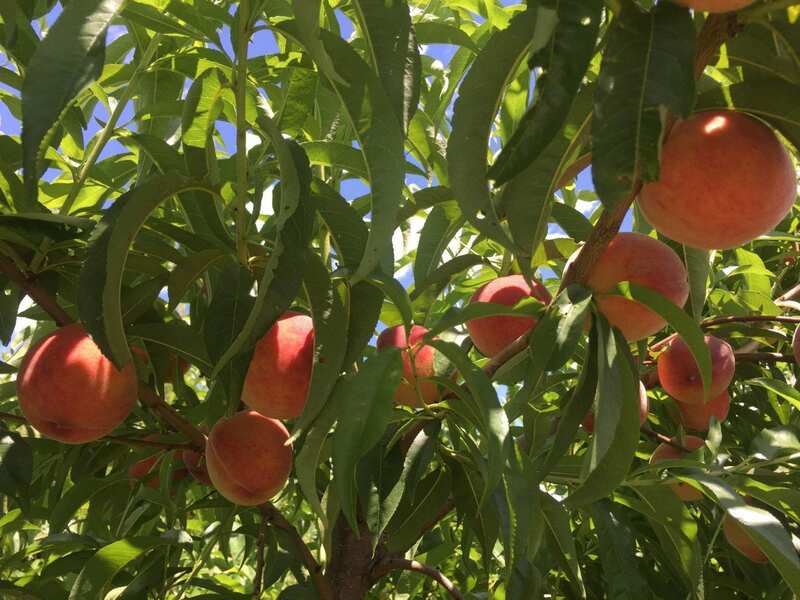 Depending on the time of year, you can pick apples, peaches, strawberries, pumpkins, and more at Lynd Fruit Farm. Lynd offers U-pick events throughout the year, and you can see their calendar here. Spend an evening under the stars at the Arne Slettebak Planetarium. Inclimate weather keeping you from enjoying outer space while outdoors? The Ohio State University has a wonderful planetarium that hosts events that are free and open to the public. Since the planetarium only seats 63 people, there is still a need for advanced tickets. You can reserve seats for you and your date here. If your chosen event is full, you can always get on the waitlist! Cheer on the home team at a Clippers Game. Spend 9 wonderful innings with your date at Huntington Park. For around $7, you can root for the Clippers from the bleacher seats! Huntington Park has tons of specials, like College ID night, where admission is reduced and Dime A Dog night where hot dogs are just $.10! Show off your skills at one of Columbus’ many bowling alleys. Is your date an expert bowler? Or maybe they just like to have a good time? Columbus has a ton of affordable bowling alleys. One of the best deals in the city is at Sequoia Pro Bowl. Games are $5 and shoe rental is $3! Skate America in Grove City has tons of deals throughout the week, including Late Skate and School’s Out specials. United Skates of America will also offers discount days including Family Nights with $2 admission and $3.50 skate rentals! For $7.50 per person, you and your date can spend the evening in competitive mode at Glow Putt in Gahanna. This indoor putt-putt course is perfect for rainy weather. 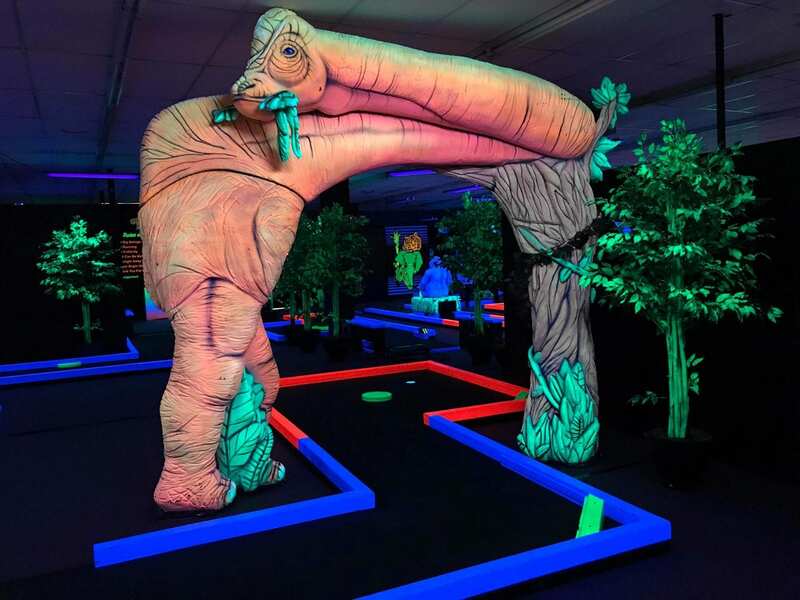 Nothing says “awesome date night” quite like a black light, safari-themed mini golf course! Drink, play, and be merry at Pins Mechanical Company. Located in the heart of Downtown, Pins offers duckpin bowling, foosball, pinball, ping pong, and shuffleboards. Order a drink and enjoy some cheap fun! Prices for games range between $.50-$5.00.Be sure to check the Pins schedule, as sometimes bowling lanes are reserved for private parties. 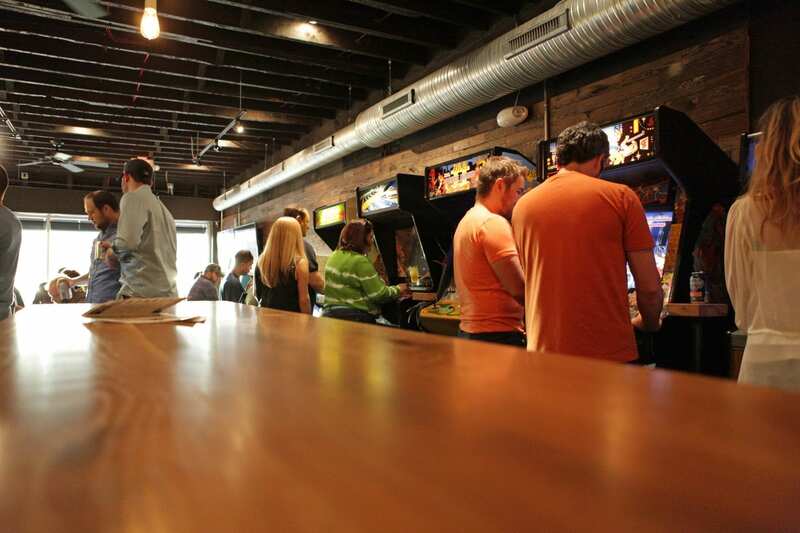 If you have any money left over from your Dirty Franks date, you should definitely head next door to 16-Bit Bar+Arcade. As long as you’re drinking, you can play almost all of the arcade games for free. Spend an afternoon on the ice. Noon Skate at OhioHealth Chiller Easton offers $3 skate rental and $4 admission. If you’re looking for a Friday night date, Chiller also hosts Friday Night Melt Down, where you can ice skate under the disco lights from 7:30 p.m. to 10:30 p.m. for just $10. Skate rental included. There are so many interesting things to see around Columbus. From weird roadside attractions to cool public art installations. Throw that $20 in your gas tank and see where the road takes you! Stay home and watch some Ohio themed entertainment. Want to stay in? Luckily, there are plenty of Ohio-themed tv shows and movies. Fanboys, Family Ties, Traffic, Tommy Boy, The 5th Wave, and so much more are all available across various streaming platforms, as well as available to rent for cheap through iTunes and YouTube. Walk dogs at Franklin County Dog Shelter. Want to have fun and feel great about yourselves while you’re out for date night? Volunteer to walk pups at the Franklin County Dog Shelter! You’ll have to do volunteer training first, so this isn’t a date you can choose on a whim, but you will be rewarded for your work with puppy kisses! Planning on cooking a romantic dinner? Or perhaps you’re just in the market for some handcrafted, local wares. Either way, spending your Saturday morning at a farmer’s market can make for a pretty romantic date. 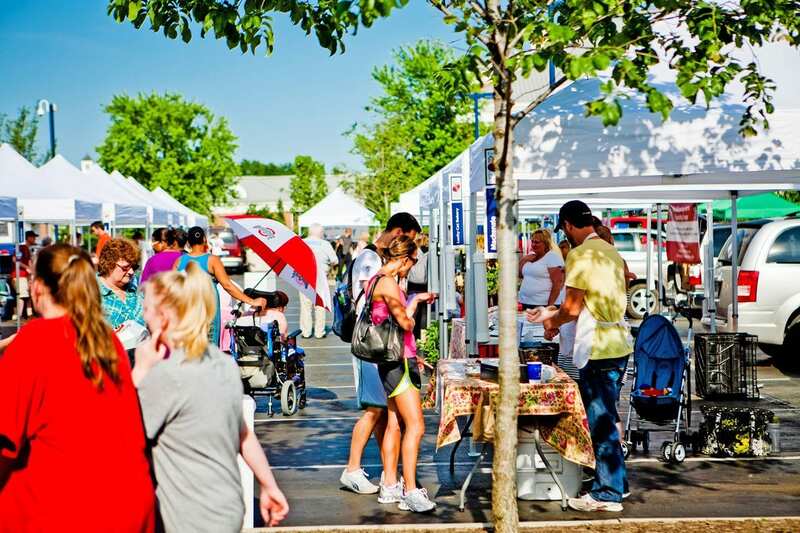 Not sure if your neighborhood has a farmer’s market? Here is a list of some of the best ones around the city. Grab your boo and pop some tags. You never know what treasures might await you during a day of thrifting in Columbus. From kitchenware to sweet threads to old books and movies you didn’t even realize you missed, there are hours of fun just waiting to be had at the thrift store. Get romantic and cook dinner for your date. If you didn’t get all the ingredients you need at the farmer’s market, you can hit up one of Columbus’ best local grocery stores. $20 can go a long way if you know what to look for! One day each month (until November), Sunrise Sanctuary offers Open Barn Day. 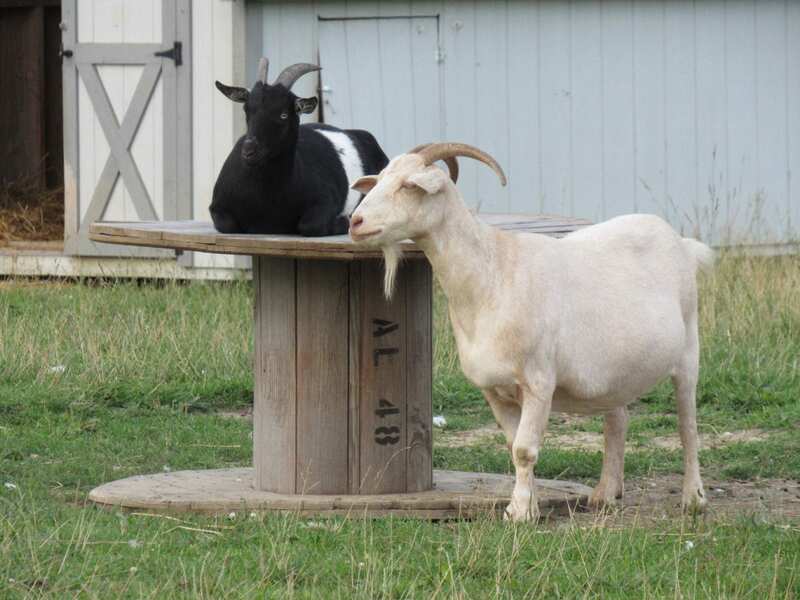 At 3 p.m., you and your date can head to the farm to get up close and personal with some of the cutest animals around. But don’t dress too fancy! Sunrise Sanctuary asks that guests wear close-toed shoes and clothes they don’t mind getting dirty. Admission is free, but the sanctuary requests that you register and print off a ticket here before arriving. Grill And Chill At A Metro Park. If you prefer picnic tables to actual picnics, find your local park, grab some meat & veggies, and start grilling. One of my favorite parks to cook out at is Blendon Woods Metro Park. There are grills, picnic tables, beautiful trails, and even a frisbee golf course! What are you waiting for? Get out there, spend very little money, and have a freaking awesome date!